Not long ago, I was gifted with a package of vanilla pods. Up until that point, I had never used them, but I had seen them used many times on cooking shows and in recipe books. According to those shows and books, vanilla beans are bursting with vanilla flavour. Lucky for me, I had to make some coconut whip to use as a topping for some recipes I was working, so it was the perfect opportunity to use my first vanilla pod. 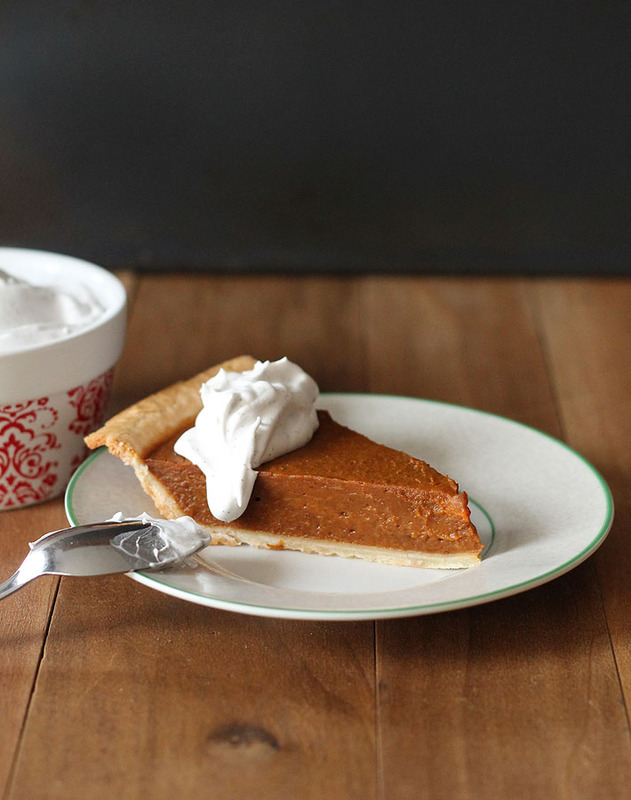 Hello, vanilla bean coconut whipped cream! That part about vanilla beans bursting with flavour? It’s true, whatever you add the seeds to will have a fresher and more “lively” vanilla flavour. Vanilla pods, you have a new fan! 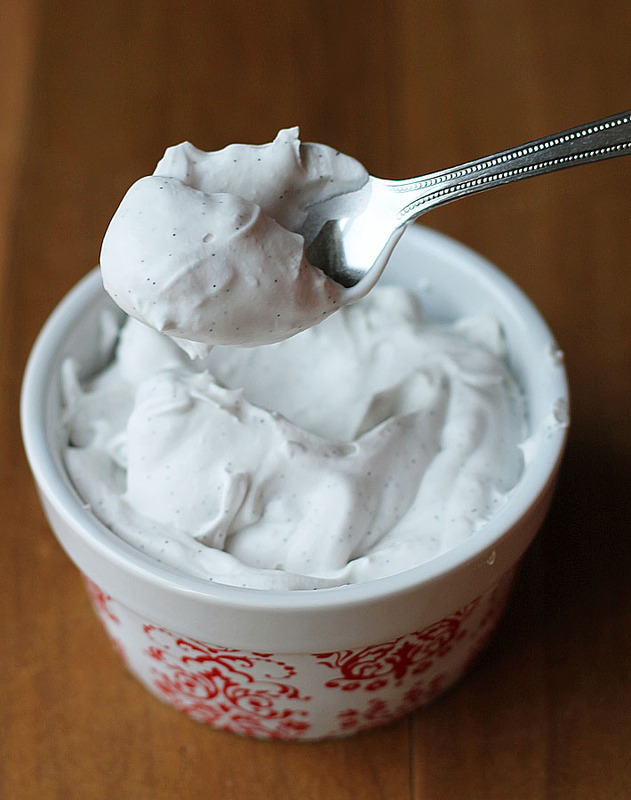 If you’ve never made coconut whipped cream before, it’s a great vegan whipped cream alternative for those who don’t/can’t eat dairy. When made right, it’s just as creamy, fluffy, and decadent as dairy-based whipped cream. Just with a coconutty twist! 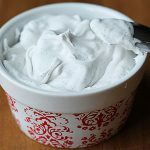 Vanilla bean coconut whipped cream can be used any place dairy whipped cream would be used, see below for a few ideas on how you can use it. After whipping, use right away or keep in an airtight container the fridge for a few days. And a bonus to using a vanilla pod over extract? Look at all those little vanilla seeds in the coconut whip! What is the Best Coconut Milk Brand for Coconut Whipped Cream? In order for this recipe to work well, you need to buy the purest coconut milk brand you can find. There shouldn’t be any additives and/or preservatives in the ingredients list (things like sugar, carageenan, sulfites etc). When there are extra ingredients, the separation between the water and cream may not happen and the taste may not be great. I have found that brands with guar gum listed in the ingredients (coconut, water, guar gum) can also work well, but they have been hit and miss for me. There are many good brands to use out there, so have a look around your natural food store or the natural foods section of your grocery store. Check out Trader Joe’s, Whole Foods as well if you have one close by. My go-to is Native Forest Simple Unsweetened Classic Organic brand) (If using the Native Forest brand, note that they recently changed their coconut milks. The type I used to once recommend is now very hit and miss and I find that it no longer whips up nicely. The Simple version I link to above and below will make you a nice coconut whip). I also like Native Forest because they don’t use BPA-lined cans. If you cannot find the Native Forest brand, this one by Thai Kitchen also works well. What Does Coconut Whipped Cream Taste Like? Like coconut! You do have to like coconut since it is the dominant flavour. 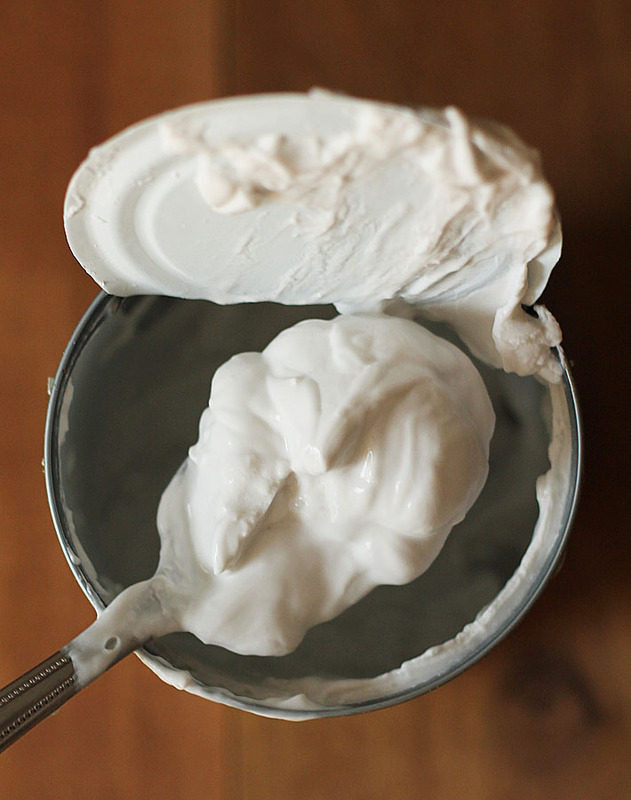 How to Sweeten Coconut Whipped Cream? 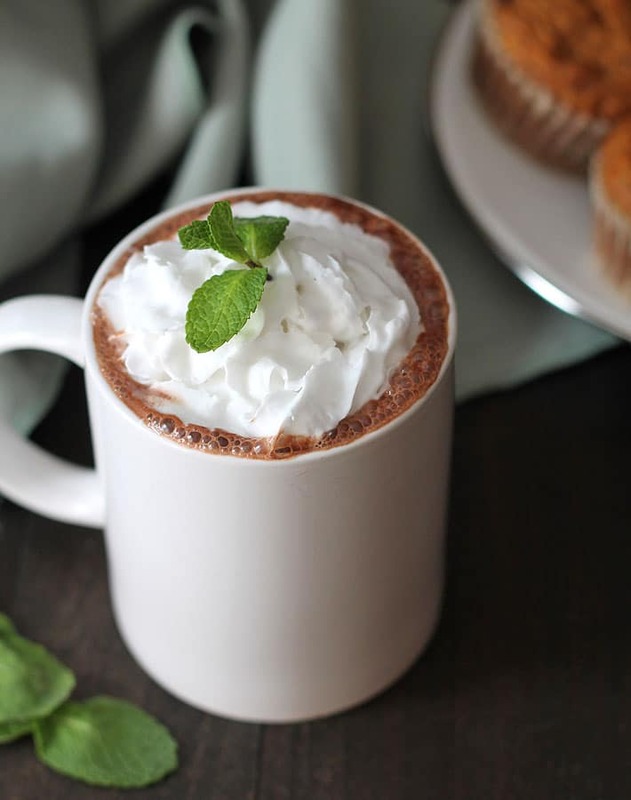 Sweetening your coconut whipped cream is optional, it’s great without sweetener, but if you do want to sweeten, I recommend using pure maple syrup or powdered sugar, to taste. How Can I Make My Coconut Whipped Cream Thicker? If your coconut whip is still on the runny side after whipping (this happens sometimes, especially if some of the coconut water from the can mixed in with the cream or if you get a bad can, which also unfortunately happens from now and then) add tapioca flour, one teaspoon at a time, to thicken it up. I was given this tip when I posted about my runny coconut whip on Instagram. A few commenters came to my rescue. And it worked! This recipe will only work with full fat canned coconut milk. It will not work with light canned coconut milk or coconut milk drinks in cartons or tetra packs. If you’ve never used vanilla pods before, read this article for a step-by-step walk through on how to get the seeds out, it’s very easy! 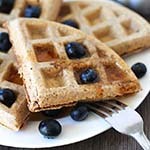 If you don’t have a vanilla pod, it’s OK, you can still make this recipe! Just replace it with 1 tsp of pure vanilla extract. Keeping the coconut cream cold is important to it whipping up nicely. You’ll need to move quickly after taking it out of the can and putting it into the mixing bowl. I usually chill the mixing bowl for about a half hour before whipping, which helps a lot. 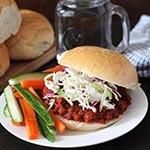 If you like this post, you will also like my roundup of Vegan Substitutes for Common Kitchen Staples. Try this decadent, creamy, dairy-free vanilla bean coconut whipped cream as a delicious (and better!) replacement for regular whipped cream. Open the can and drain out all of the water (save the water for smoothies or other recipes). 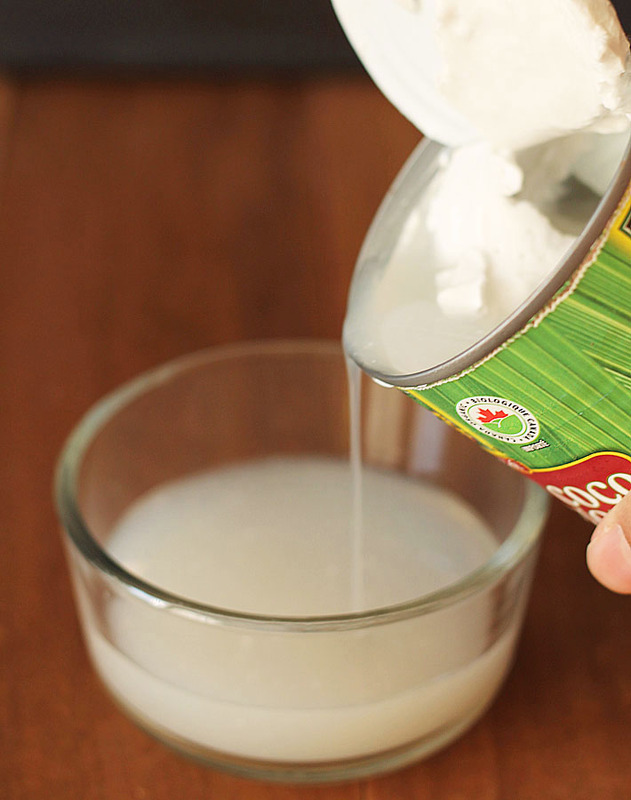 Scoop out all the coconut cream from the bottom of the can into a mixing bowl. Scrape out all of the vanilla beans from the pod and add to the bowl. 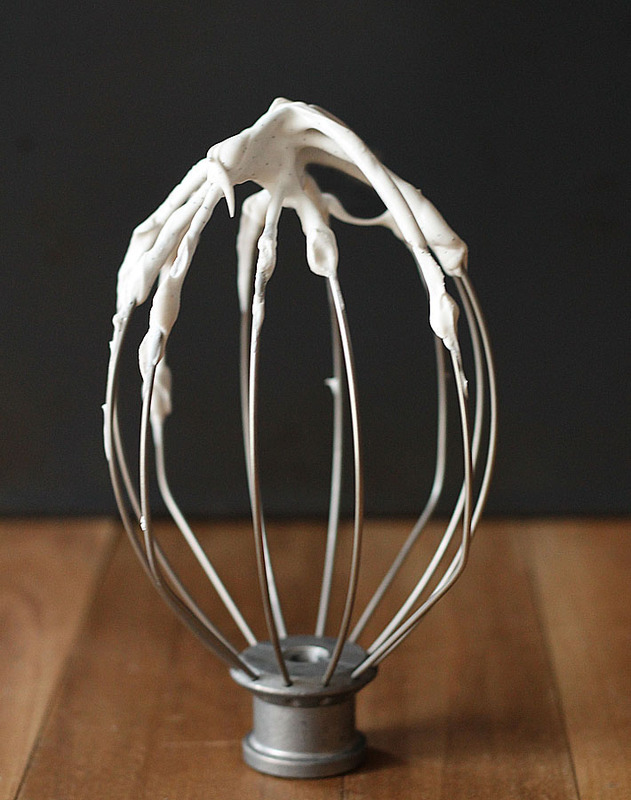 Whip using a hand mixer or the wire whisk attachment from your stand mixer until light and fluffy. Starting with 1 tsp, gradually add your sweetener of choice. Whip and taste after each addition until it is as sweet as you want it to be. 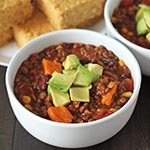 Please read the FAQ and tips sections above before making this recipe. Canned light coconut milk will not work with this recipe, only canned full fat coconut milk will work (I like and always use Native Forest Simple Unsweetened Classic Organic brand). If you don't have a vanilla pod, it's OK, you can still make this recipe! Just replace it with 1 tsp of pure vanilla extract. Keeping the coconut cream cold is important to it whipping up nicely. You'll need to move quickly after taking it out of the can and putting it into the mixing bowl. I usually chill the mixing bowl for about a half hour before whipping, which helps a lot. What about using straight-up coconut cream? I have a can I just bought from Trader Joe’s. Seems like that would be the ideal thing to use! I did not get the separation of coconut cream from the liquid like your pictures show, even after three days of refrigeration. And I used the exact same coconut milk brand, label, etc. So I started with a thinner cream. Still turned out tasty but a tenuous structure. We’re not vegan so I’m wondering if I could stiffen it up with some egg whites. Hi Eric, I get a dud can every now and then as well, I think this may be the case. Another brand you can try if you are nervous about trying again with this brand is Thai Kitchen, the regular type, not the lite. I’m not sure if thickening with egg whites will work to get it to the consistency you need it to be, I’ve never worked with egg whites in that way before. Sorry, not the answer you were looking for 🙁 I think it’s worth a shot if the consistency is really too runny to be used as a whipped cream replacement. Good luck! I bought a case, so I’ll be sticking with this brand for a while! If we experiment w any egg whites, I’ll let you know how that turns out. Regardless, this is a very useful recipe for us. 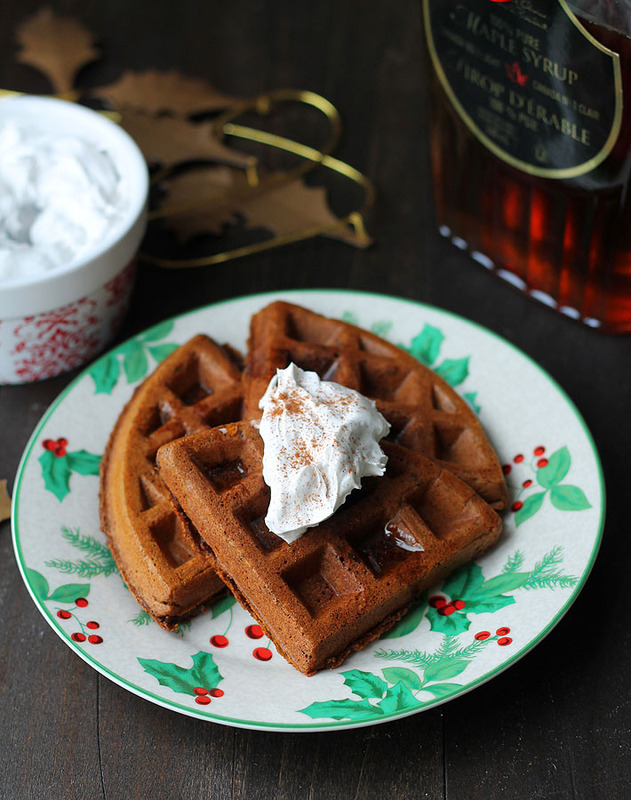 We wil, be trying this on our gingerbread waffles tomorrow. Hopefully the next can will separate properly. I hope you enjoy it with the gingerbread waffles! Egg whites won’t help. For one, they don’t beat up when mixed with fats and for another they will break down quickly without cooking to solidify the proteins. Also, you would be risking Salmonella since you’d be eating the raw whites. Thanks for your input! I don’t use egg whites so I had no idea! I love coconut whipped cream, as you know, but I’ve never tried vanilla bean. I see them in Costco but have never bought them – maybe I should splurge! I think it’s worth the splurge! I can’t wait to try using them in other recipes to see how it affects them. I can’t believe I waited this long to try them!